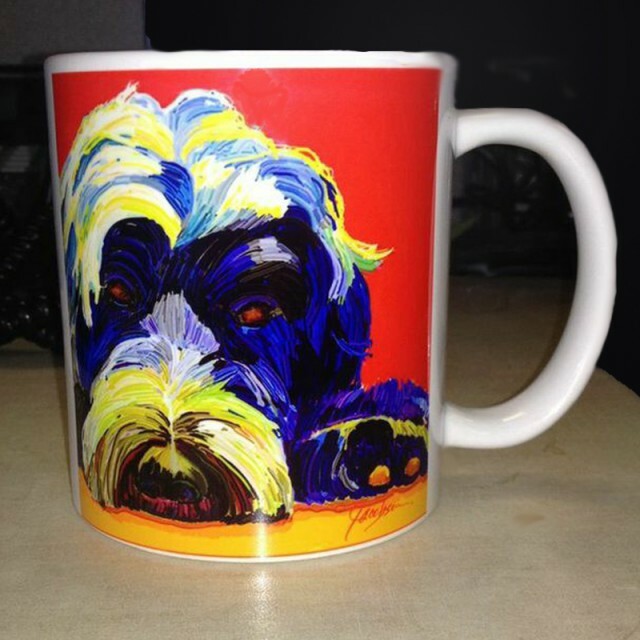 The first dog I painted in my most recent style, was a portuguese water dog. He was all black and I really couldn’t see anything inspiring to paint. And then came my epiphany. Paint him as VanGogh would have painted. 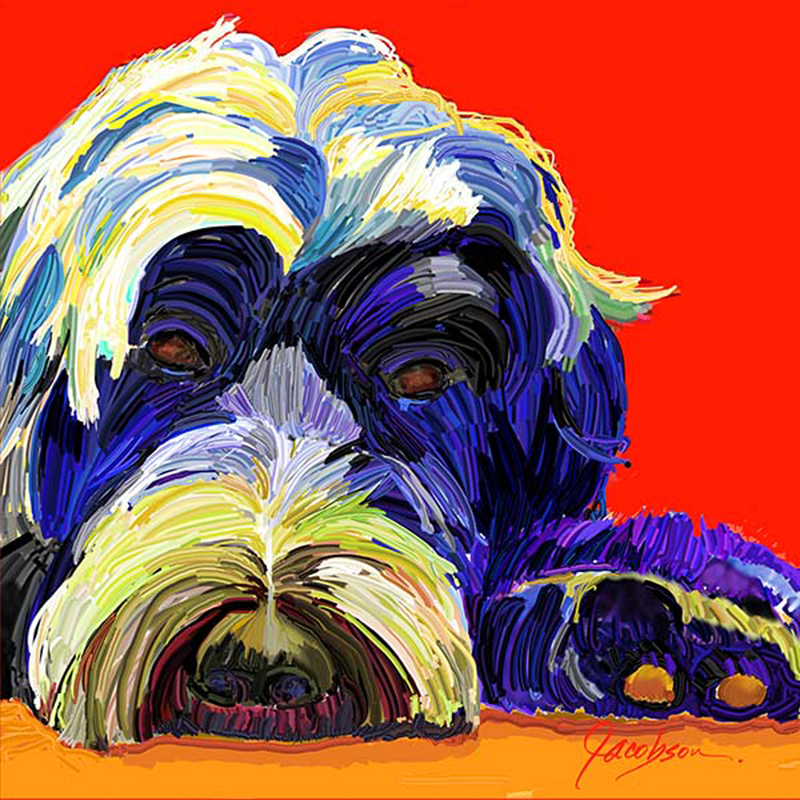 My portuguese water dog in living color. And now for the rest of the story about water dogs. In the heat of summer, there’s nothing quite like taking a plunge into cool waters. This applies to dogs, well the ones that love water anyway! And that includes water dogs, like the name says. These canines are on everyone’s lips at the moment, not least due to Bo Obama, the USA’s “first dog”. A Portuguese water dog (cao de agua Portugues) is a real handsome lad with an attractive curly mane who sets dog lovers drooling by the score. What many who “want one just like it” don’t understand is that water dogs are not for everyone, as these pets want to be kept busy. Thrice daily round the block is in no way enough for these dogs. Most of them are just bubbling with temperament and need the right kind of action. Apart from the fiery Portuguese, there are other breeds of water dogs, all from different countries. This black, curly-haired quadruped from Portugal has been around since the BC’s. His breeding standard, however, was only first established at the beginning of the last century. Medium-sized and robust, he comes in two types of fur: wavy with longer fur and curly, like a poodle. This great lover of children has hardly any under coat which means his fur doesn’t moult much but must, however, be cared for and brushed regularly. High-spirited and agile in character, he needs a great deal of diversion to suit his needs and a healthy amount of exercise. 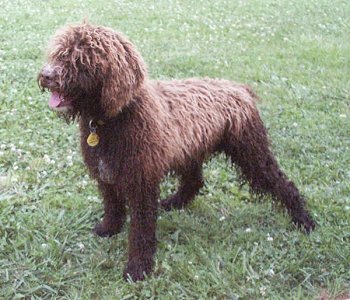 As well as the Portuguese, there is also the Spanish water dog (perro de agua Espanol) which is considered to be the Cao’s ancestor. This old breed comes from Andalusia. The hallmark trait is the curly coat which, when it grows long, looks like cord. This dog is bred for the water with its willingness to learn and work. He needs activity in keeping with his character and needs to be fully occupied –- including his pretty little black head! 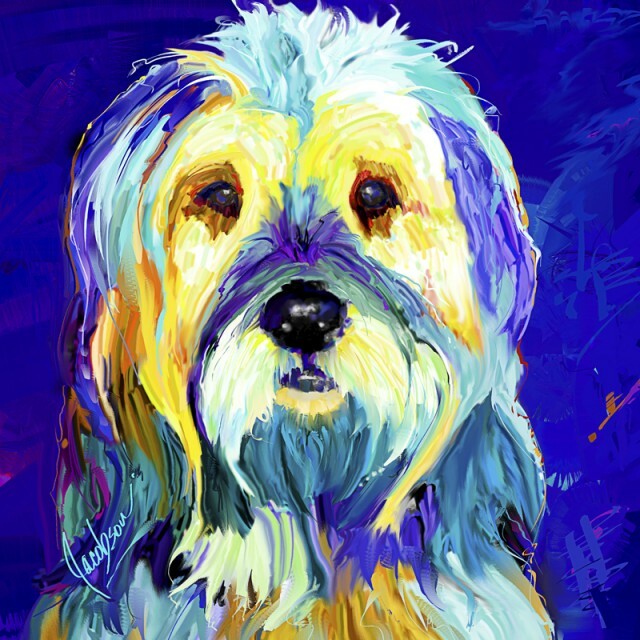 Perro: Perro is supposed to be the ancestor of the French representative of water dogs. This latter is called Barbet, which comes from the French word “barbe” meaning “beard” – a pointer to a characteristic of this breed. Barbet, originally from the Orient, was the unflappable watchdog of the middle ages who also cut quite a dash with the hunt. It’s no wonder that even nowadays he still possesses a strong hunting instinct. Properly kept busy, however, he makes a great family dog and a trusty, cheerful companion. A little more difficult in this respect is the curly-head from Ireland – the Irish water spaniel. His keen sense of vigilance makes him unsuitable for the average beginner. This chestnut-brown Irishman is thought to have originated from a liaison between Irish setter and giant poodle and was the water hunting dog of choice on the emerald Isle, where he made his mark showing courage and stamina. He still possesses both these qualities today and is bursting with energy. I very much enjoyed today’s blog. of the various dogs are descriptive. Evelyn: I’m so glad you’re enjoying the blog and specifically this post. Keep watching…more good stuff on the way.